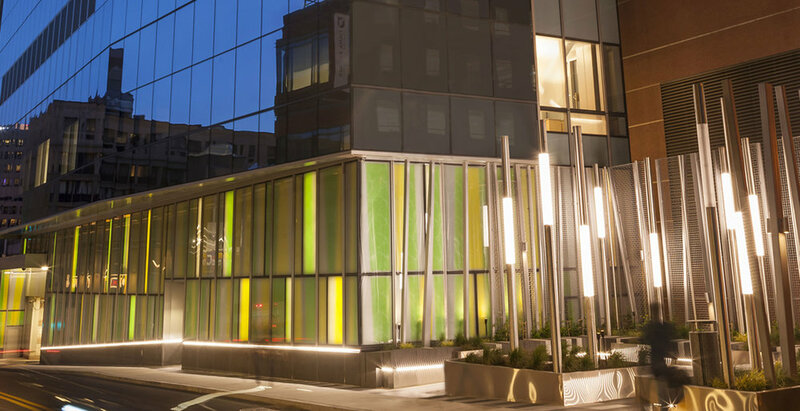 Binney St. Pocket Park - Children's Hospital — Landworks Studio, Inc.
Stretching along the new addition to the Children’s Hospital, Landworks Studio has designed the streetscape and pocket park in the dense urban fabric of the Longwood Medical area of Boston. The pocket park is located at the corner of the site adjacent to the service dock. Continuing the base of the foundation, the granite morphs into a bench that snakes along the perimeter of the pocket park in a pixilated gradient from black to white. Along the streetscape, Payette has designed a back lit panel façade that terminates at the pocket park. The pocket park continues the language into a three dimensional form that strategically screens the loading dock while still allowing views. 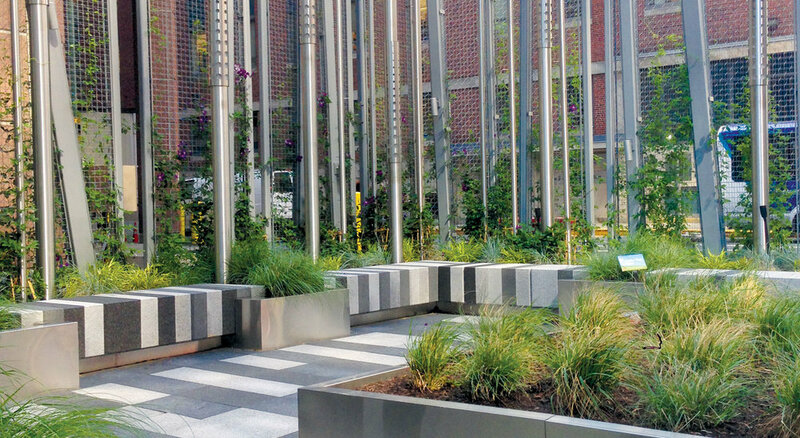 A layered composition of green screens, angled metal posts, stainless steel sticks of light, and vegetation emerge out of the planting beds.